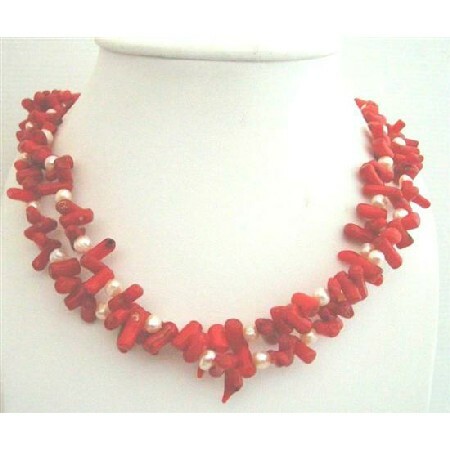 Coral makes a natural & bold fashion statement unique attractiveness & fashionable flair to this stylish Red Coral Tube beaded 2 stranded with soothing pure Freshwater Pearls Necklace. What is in this season? Check this out! Sterling Silver Clasp Beaded 2 Strand Necklace a trendy piece with bright beautiful Red Coral FreshWater Pearls a perfect piece for anyone to wear for a formal or casual occasion!.